H.R. 36 is the product of the House conservatives’ brain-flatulence and emphatic embrace of pseudo-scientific items like a “pain capable” fetus, in which abortions would be banned after twenty weeks. What’s the science? There are a couple of things to notice in the summary above. First, “evidence regarding the capacity for fetal pain is limited,” or, restated, there is limited evidence (read: little) that the fetus is able to perceive pain. Secondly, if we accept the “limited’ evidence, then the perception is unlikely until 27-28 weeks after conception. 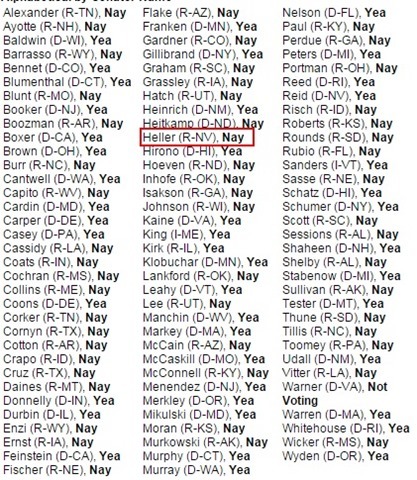 However, nothing scientific stopped Senator Dean Heller from voting to bring H.R. 36 up for a vote. The motion to break cloture failed. “It is said that you cannot make the same mistake twice. The second time you make it, it’s a choice. On every issue imaginable Republicans are choosing to employ the same failed strategy. Over and over again, they drag Congress and the American people through votes that are publicity stunts designed to boost their conservative records. And yes, the bill is going nowhere, and the vote was a waste of time. However, it does appear indicative of a Republican strategy in this Constant Campaign season. For the sake of argument, let’s define a wedge issue as a social or cultural topic introduced into a campaign which seeks to attract and galvanize persuadable voters who might otherwise focus on economic or other major issues. There’s nothing particularly new about this technique. We could start almost anywhere, but 1968 seems as good a place as any, as an election into which two divisive issues were raised: “Public Order,” and “busing.” The former sought to brand Democrats as the party of chaos (Chicago civil unrest) and the party supporting “forced integration” for which “busing” was the stand-in. The busing (race) issue morphed into “States Rights” and “welfare queens” (race) during the 1980 campaign, which was, in turn, revised into the “Affirmative Action” (race) issue in 1996. The “gay marriage wedge issue” was used to good effect in the 2004 election season. 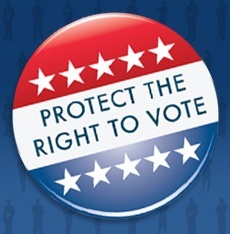 While wedge issues are extremely helpful during primary elections, their utility may diminish during general elections depending on the level of voter turnout. The danger of the wedge strategy is that it may be viewed as what is on offer from a party which has very little else to publicize to a national audience. The second danger inherent in the wedge strategy is that the issue itself may become marginalized and less effective in national elections. Note that of the contemporary wedge issues only immigration is seen as a major national priority (9%) and the polls don’t indicate the perspective of the voters in terms of either passing comprehensive immigration policy reform, or on the other hand, a policy of mass deportation. Gay marriage and abortion barely register with a majority of American voters. Using gay marriage as a wedge issue appears to be one of those issues whose time has come and gone. Gay marriage might have been a potent wedge issue in 1996 when only 27% of the population thought those marriages should be valid, however its luster faded by 2015 when approximately 60% of the American public agreed that gay marriages should be legal. [Gallup] The fact that only the most radical of the Republican Party’s presidential candidates sought to exploit the issue of the Kentucky county clerk leads to the conclusion that this issue has also been marginalized. This might help to explain why H.R. 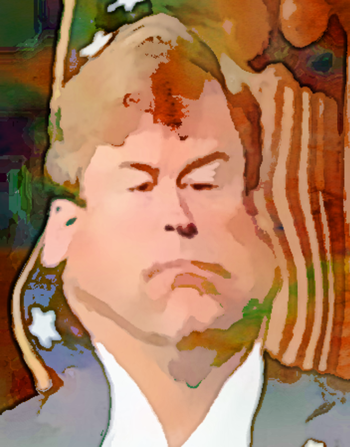 36 (and other similar legislation) is perceived as a cohesive issue for Republicans and why Senator Heller and others have attached themselves to it. Trends in voter affiliation may support the thesis that some are ceasing to identify as Republicans since polling was done in 2003. As of 2014 32% responded as Democrats, 39% as Independents, and 23% as Republicans; a loss of 7% in self-identification with the GOP since 2003. 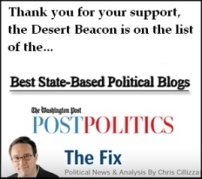 [PRC] If the trend continues, we might reasonably conclude that the fixation in the GOP with what appears to be a wedge issue of limited utility could have serious consequences for that party in upcoming national elections. Given the Republican Party’s march to the right, the willingness of its national leadership to adopt a wedge issue like abortion, and the continual emphasis placed on the topic by ultra-conservatives, probably means we will see more publicity about Planned Parenthood, more non-scientific legislation, and more lock step votes such as that of Senator Heller in the U.S. Senate. And it’s still over 400 days until the next national election. Recommended/Reference: N. Coca, “Wedge Issues: A 2008 Historical Preview,” NithinCoca, January 2008. D.S. Hillygus, T.G. Shields, “The Persuadable Voter: Wedge Issues in Presidential Campaigns, Princeton University Press, 2009. K. Walsh, “Wedge Issues Take Center Stage in 2016 Race,” USNWR, April 2015. 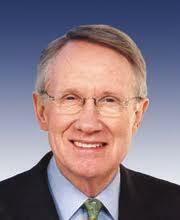 Sen. Harry Reid, “Republican Attacks on Women…” Press Release, September 2015. D. Townshend, “Abortion: The New Wedge Issue,” American Prospect, August 2012. Pew Research Center, “Trends in Party Affiliation,” April 2015. The Polling Report, “Problems and Priorities,” July 2015. The Senate Majority Leader’s remarks contain the essence of the Republican response — belittle, allege conspiracy, insulting, and carping — because some credit might accrue to the Administration for coordinating the capture of the terrorist who launched the attack on our diplomatic outpost in Benghazi. Indeed the capture of Khattala did garner much chattering in the wasteland that comprises Fox News. [TPM] “It” was a conspiracy — a capture designed to help Sec. Hillary Clinton with her book tour? “It” was ill timed — gee, Khattala’s been walking free for two years, what was the Administration doing all that time? The Administration could have issued the “go order” at any time! Pathetic really is a well chosen word for this palaver. Consider the result for a moment, and think of the intricacy of entire operation. A terrorist 6,259 miles from the United States, in a country of 6.2 million people, is captured without being injured, and in an operation which did NOT result in any civilian casualties. Further, the terrorist is not only captured, but arrested, to be charged with capital crimes against American citizens. The case against him has to be built, carefully and with all the precision required by our system of justice. Obviously, our Special Forces held up their end — the intelligence gathering, analysis, interpretation, and evaluation in addition to the assignment and training of personnel; and then the rehearsal, the plan modifications, the logistical coordination of men, transportation, supplies, and equipment — everything and everyone to be in the right place at the right time doing the right thing. What thanks do they get from the carping right wing noise machine? They could have captured Khattala at any time? Criticism of this ilk really has lost touch with reality — as if the critic is sitting in the living room with the game controller playing through a Shoot’em Up Script. Criticism of this nature is an insult to those who plan, coordinate, assess, revise, and implement complicated military operations. Those who “support the troops” should be appreciative of their efforts. 1. You can give credit where credit is due. When you can applaud the killing of Osama Bin Ladin without sniffling. When you can applaud the take down of the Somali pirates without carping. When you can take pleasure in the surgical extraction of a known terrorist over 6,000 miles away and return the felon to face the charges he richly deserves. 2. You can call as loudly for the funding of veterans services and benefits as you do for launching military operations which create more veterans. If I never hear another Republican like Senator Jeff Sessions (R-AL) say that veterans’ benefits are an entitlement we can’t afford [Electablog] it will be too soon. 3. You can understand that while we want our troops to have the best and most effective weapon systems we also need to pay the personnel who are to use them. It doesn’t do to bellow about cuts to military BAH (Basic Allowance Housing) or subsidies for military families, while at the same time calling for balancing the budget and paying for weapons systems the Pentagon doesn’t even want. The term we’re looking for here is “fiscal responsibility.” Fiscal responsibility in the very real world. 4. You call for using diplomacy before you shout for more young men and women to take on dangerous tasks in dangerous places. Professional members of our arms forces know that war is the failure of diplomacy — perhaps at some point you’ll understand this as well. When you can comprehend these four things then I’ll no longer be justified in seeing your bumper magnet as merely a proclamation of your militarism and your disdain for the Commander in Chief. The arguments emanating from the GOP side of the aisles would be easier to understand IF anyone from that quarter could explain why it was perfectly acceptable to extend long term unemployment benefits FIVE TIMES during the Bush Administration — but is somehow categorically unacceptable today. The fact that the Senate Republicans continue to move the goal posts on Senate action serves to remind us why the arguments against the extension are ultimately specious. The Senate Republicans wanted to add amendments, amendments were allowed, but not enough amendments? Not the right kind of amendments? The Senate Republicans wanted a Pay For, they got one — on the backs of working people — who would be required to make larger contributions to unemployment insurance programs — that was insufficient, they want MORE… of something. Whatever. And, whatever is offered by the Democratic leadership we can all bet it will be insufficient to assuage the tender sensitivities of the Ever Outraged GOP. Let Them Eat Pie In The Sky? At this point we get to the major question — What’s wrong with extending long term unemployment benefits for people who’ve been out of work for more than 27 weeks? All you have to do in order to accept the GOP argument that the cost of extending unemployment insurance benefits for 1.3 million long term unemployed people is too much to sustain is simply to ignore the fact that unemployment benefit costs have been declining since 2010. For those not connected to the Fact Based Universe this should be relatively simple. (2) Lazy People Argument: Here they go again! Somewhere, out there in the Shadow Land of Make Believe there are thousands of lazy shiftless do-nothings who are perfectly happy to be the beneficiaries of public largess — who aren’t members of Congress. First, this is a Dog Whistle argument, as if receiving unemployment insurance benefits is a form of welfare. It isn’t, of course, workers have paid into those employment insurance programs. However, the economic or statutory reality of a program has never stopped the anti-government crowd from splattering the ‘welfare’ label on something, anything, that might remotely help someone. Secondly, there’s that conception amongst the uninformed that people can make more money not working than by working. “They” can earn more on ‘welfare,” or “They” can get by not working by simply taking unemployment checks. The people making these claims have obviously never seriously checked into the eligibility requirements of the Nevada program. No, in this state, as in most every where else, the Shiftless One cannot refuse employment at a lower rate just because unemployment benefits might be higher — they aren’t and they don’t. But, we know what the GOP’s thinking? “They” are those “inner city….. people…..who sit on porch steps….” And, now we’re back at the Dog Whistle. (3) We’re Just Here To Help You – Have Some Pie From Our Sky. 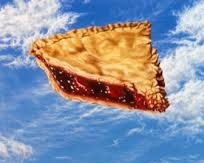 The problem with pie in the sky is that it is intrinsically inedible. In the theoretical world of the Club For Growth and other ultra-conservative outlets, unemployment insurance benefits constitute a drag on employment by being a dis-incentive to work. Anything which supports a person who is not currently working is automatically classified as a dis-incentive because were the support not available the person would have to work to eat, or something like that. This also requires the corollary concept that there is work for everyone. Except that’s not the case, there are now three job seekers for every job opening in the country. [politifact] Thus, the Pie in the Sky model of economic theory falls flat because in the real world of real numbers, two of the job seekers (with or without support) are still going to be looking for work whether there’s an incentive or not. The second problem with this Pie in the Sky argument is that most people are working, seeking work, or getting discouraged in the process. Consider, Nevada has an unemployment rate of 8.7%, which means that 91.3% of employment aged people ARE working. The unemployment rate in the Reno area is 9.1%, meaning that 90.9% are working — [DETR] if the mere existence of unemployment insurance benefits, or any other safety net program, is such a dis-incentive for working people, why are so many people doing it? Most of the time the arguments from the ultra-right require the acceptance of a negative view of humanity, a perspective which demands acknowledgment of such furtive claims as “They” are undeserving because “They” are lazy, shiftless, bums who want to watch television and drink beer… without having to specify who “They” might be. It’s also handy to buy into the well debunked Trickle Down Hoax, in which every tax avoided by a corporate employer, every source of funds left untaxed, and every loophole created in the tax code is magically translated into imaginary jobs. We tried 30+ years of this and all we got was a Mortgage Meltdown compliments of the Wall Street Casino. If there are no procedural problems other than those manufactured by the obstructionist GOP leadership in the Senate, and there are not statistical reasons not to extend unemployment insurance benefits for those who have already paid into the systems, and there are no rational economic reasons for not continuing to utilize automatic stabilizers such as the unemployment benefit insurance programs … then why not pass the bill? To say, as I did in the last post, that S. 1845 to extend unemployment insurance benefits to our long term unemployed was headed for the House was premature, as aptly pointed out by the Nevada Rural Democratic Caucus. 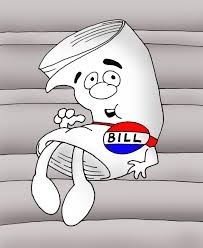 The bill may get there eventually — after our solons have tacked on various and sundry amendments. “Congress should end the federal unemployment insurance program and return the authority back to the states, which already have programs in place. Absent this, Congress should pay for this extension by cutting spending elsewhere in the budget. After six years, an extension can no longer be called an “emergency” with any credibility. There is plenty of waste in the federal budget from which to find an offset. Senator James Inhofe’s amendment (SA 2605) has nothing to do with unemployment benefits and everything to do with giving individual states control over energy development on public lands. Of greater utility is Senator Richard Blumenthal’s Pathways Back to Work Amendment (SA 2608) which puts some money into getting the long term unemployed back to work. Nothing like completely shattering the wall between independent academic research and corporate R&D projects? Yes, indeed they are. Thanks to the Trickle Down Theory, Supply Side Hoax, and Austerity Politics of the Republican Party. The GOP filibuster of the bill to extend unemployment insurance benefits for “long term” unemployed people was broken by a 60-37 vote in the U.S. Senate [vote 2] with both Nevada Senators voting in favor of the cloture motion. The bill will now move over to the House side where passage is less certain. These “no” votes make no economic sense. First, we ought to look at some of the statistics related to unemployment in this country. The BLS report for November 2013 on characteristics of those unemployed show that of the 10,271,000 unemployed persons in the U.S. 5,400,000 were those who had been laid off or who had finished temporary jobs. For some 4,448,000 these were not temporary lay offs. 3,329,000 were permanent job losses. 1,160,000 were those who had completed temporary jobs. Secondly, we should look at where the jobs are increasing. The last comprehensive report issued in November shows some pockets of economic activity which aren’t promising. For example, in the health care and services category showed increases in most subcategories, approximately 4,000 nursing home care jobs were lost. [BLS] While mining and logging showed general growth, support services for mining were down 3.1%. The manufacturing sector slugged along, with significant employment up for motor vehicles and parts, up 6.7%. Transportation equipment manufacturing was up 4.9%, and fabricated metal products related employment increased by 3.1%. Looking at some of the other labor data could indicate some of the employment sector weakness facing the long term unemployed. 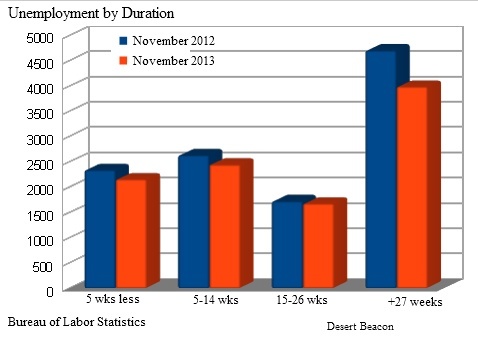 Unemployment rates in the construction sector, while far better than in 2012, were still at 8.6% as of November 2013. [BLS] The unemployment rate in the leisure and hospitality sector was still above the national average at 9%, and unemployment in the agricultural sector was at 9.7%. There was also a decline in the “discouraged worker” category, from 979,000 in 2012 to 762,000 in November 2013. Discouraged workers are categorized as “those who did not actively look for work in the prior 4 weeks for reasons such as thinks no work available, could not find work, lacks schooling or training, employer thinks too young or old, and other types of discrimination.” These people obviously didn’t drop into the infamous “other category” because those numbers also declined. Others is a category which “Includes those who did not actively look for work in the prior 4 weeks for such reasons as school or family responsibilities, ill health, and transportation problems, as well as a number for whom reason for nonparticipation was not determined.” Those numbers dropped from 1,526,000 to 1,334,000 between November 2012 and November 2013. It’s truly hard to argue that people are willing to avoid work when even at a point at which there are three applicants for every single job available those who have only the most tenuous connection to the labor force are demonstrating a reduction in their numbers. When the numbers of “marginal, discouraged, and ‘other'” workers are dropping people are obviously NOT willing to accept “dependency” on the government for their income. If we are truly interested in improved economic growth then we’d be well advised to take both some long term and short term measures to develop it. Short term activities should include extending unemployment insurance benefits so that people have the wherewithal to continue to seek work. No one is giving away gasoline to get to job fairs and interviews. Further, (once more will feeling) such benefits act as a automatic stabilizer for the economy, keeping spending levels from gyrating wildly in times of economic instability. DB’s been on this topic at least since April 2011. Long term investments in infrastructure rehabilitation and construction would go a long way toward providing employment to meet short term needs in the construction sector and long term necessities for economic activity. 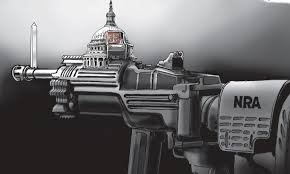 However, there may be little hope that the 233 Republicans in the House of Representatives (112th Congress) will manage to throw off the shackles of ideology. We know that Trickle Down Economics is a hoax. We’ve had thirty years of it. We know that tax cuts don’t “boost the economy;” had this been the case the Bush Administration would have been wildly successful. We know that deregulation produced one amazing financial sector collapse. And, we can see from the BLS statistics that unemployed people are leeches on the body politic. However, all this information and experience didn’t prevent 37 Republican members of the U.S. Senate from voting to sustain their filibuster of the bill to extend unemployment insurance benefits to the long term unemployed — including some from the states which could have definitely benefited from the legislation. Common sense and a modicum of economic literacy are in order. “At the beginning of this Congress, the Republican Leader pledged that, quote, “this Congress should be more bipartisan than the last Congress.” We’re told in scripture that, “When a man makes a vow… he must not break his word.” Numbers 30-2. In January, Republicans promised to work with the majority to process nominations… in a timely manner by unanimous consent, except in extraordinary circumstances. And so it began… it didn’t take the Republican minority a full month to renege on their promise to deal with the backlog of civilian nominees. Now what? Oh, wail the Washington Chatterati, this action to reduce the filibusters of judicial and executive will come to grief. The acrimony will increase! Uh, if it took the GOP only three weeks to back off from their initial promise not to filibuster qualified nominees, the level of acrimony has already hit the top of the scale. Not to mention the Republican precipitated Government Shutdown which was not exactly an outstanding example of cooperation and good will. If the present system, allowing the filibuster of every civilian (including judicial) nominee, were to continue in the Senate, and if the Republicans regained the control of the Senate, then it isn’t inconceivable that the Democratic minority would revert to the same tactics as the GOP in the 113th Congress. Imagine the judicial system if this were to continue through subsequent Congresses? The only people who would be served by a completely dysfunctional judiciary are those who are already fulminating about the Evil Government taking their unspecified “freedoms,” the modern anarchists.